Sundals are the perfect dish for an evening snack or a midday snack. They will come together quickly and easily, and perfect for all ages. When it comes to making snacks, many of us feel tired to spend more time in the kitchen. This happens to me everytime so a lot of times I make sundals for a quick evening snack. Raw peanuts are one of those nuts that are so easy to cook. 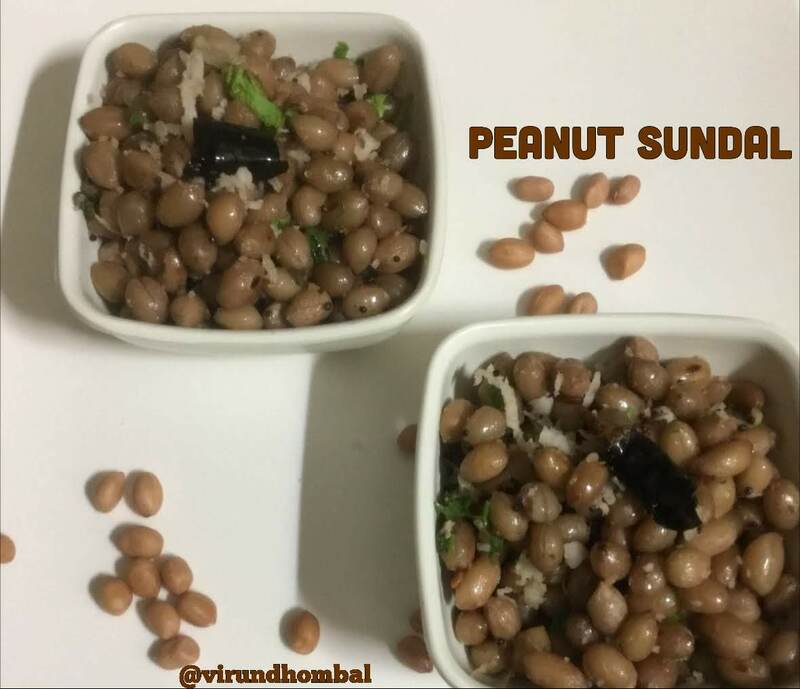 When compared to other sundal dishes, this raw peanut sundal is an addictive snack for me because of its little crunch. 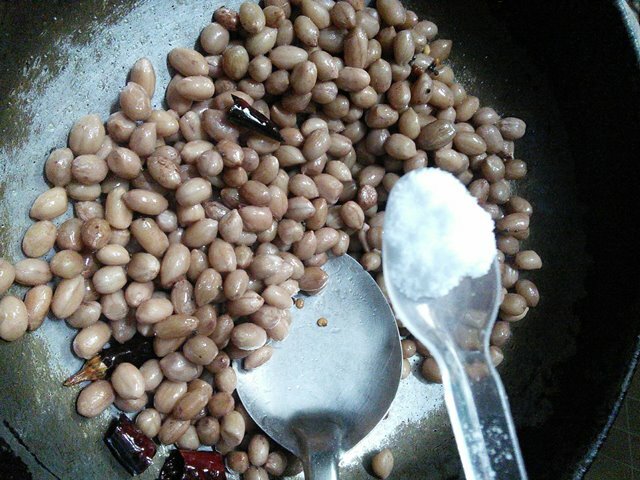 Many of us enjoy the hot salted peanuts cooked along with the shell. For this sundal if you are using fresh peanuts,it would be ready within 20 minutes. If you are using older peanuts, might require few hours of soaking. I have not included any other masalas for this sundal, just a handful of fresh grated coconuts. You may adjust the seasonings to your preference. 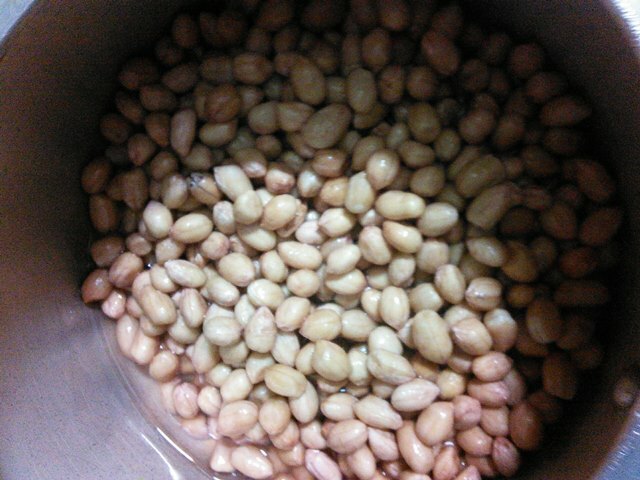 Wash the peanuts, then soak it with 1/2 cup of water for 1 hour. 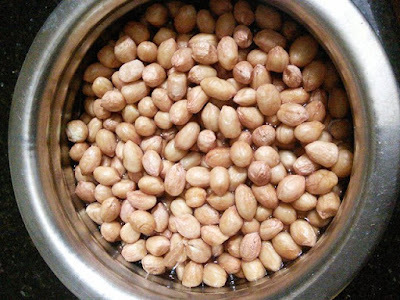 If you are using fresh peanuts, no need to soak them. 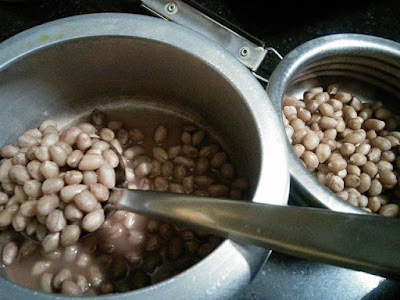 After 1 hour, add it in a pressure cooker. Add 1/2 cup of water and close it with the lid. Pressure cook for 4 to 6 whistles. Allow the pressure to settle down naturally. Open the pressure cooker and transfer the peanuts to a separate bowl. Drain the water completely. Heat oil in a kadai and add the mustard and urid dal. When it splutters add the broken red chillies. Next, add the curry leaves and the peanuts. Add the required salt and mix them well. 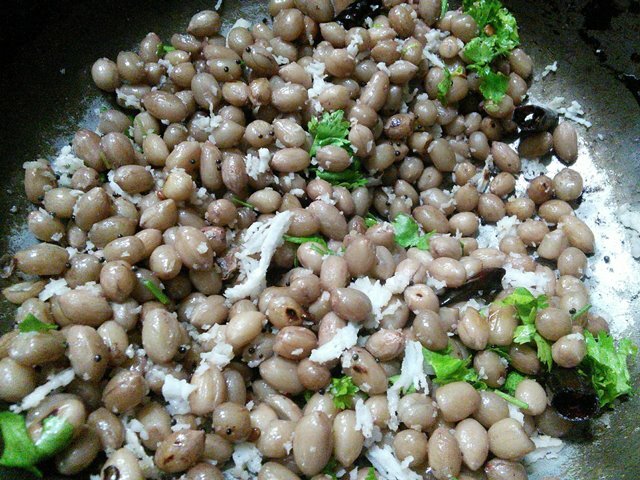 Stir them well and add the grated coconut and coriander leaves. Mix them well and transfer it to the serving dish.